Win a $75 Gift Certificate to Lloyd’s! Congratulations to Anu Matthew on winning our forty fourth High Five Giveaway and thank you to all who entered! 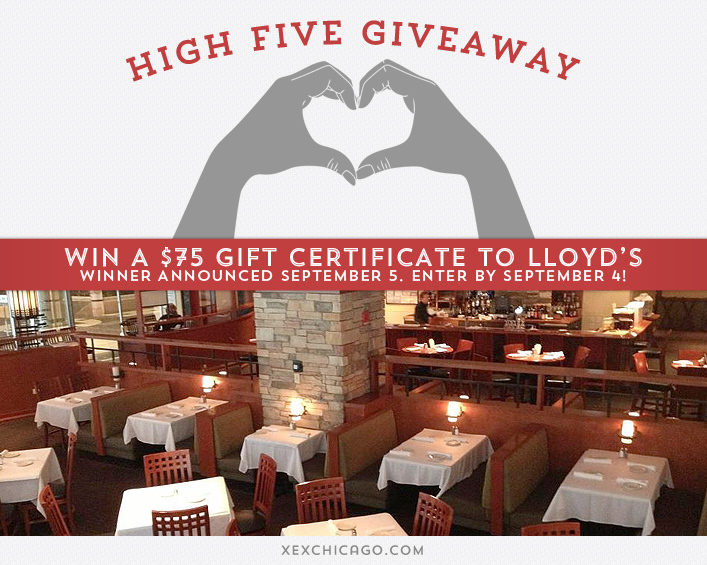 Our next High Five Giveaway is for a $75 gift certificate to Lloyd’s. What is the name of the organization that you can donate your long hair to for the benefit of disadvantaged children suffering from medical hair loss? Locks of Love. wonderful org! Locks of Love – A great organization! I’ve donated twice! Love this organization.